Hingham, MA – Most of the time you will find Liz Patton, TV/AV Manager, Linden Ponds, producing and/or directing more than 40 shows a month in Linden Ponds’ internal TV studio (LPTV). 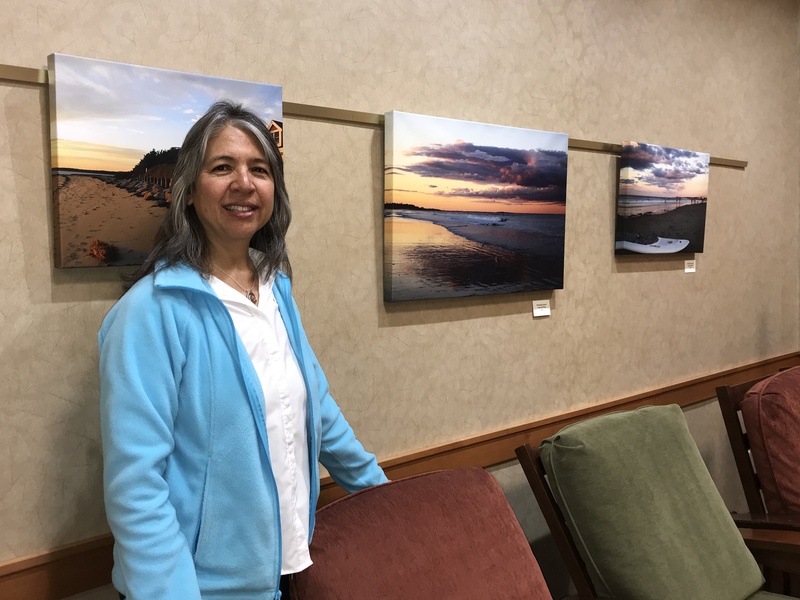 However, when she is not at work, she loves painting and taking photos and now residents at Linden Ponds can see her work all month long in the Derby Art Gallery in Derby Clubhouse at Linden Ponds. Patton, who has worked at Linden Ponds for 12 years, has been named Artist of the Month at Linden Ponds. Patton’s work is on display the entire month and there will be a Meet the Artist reception in her honor. About Linden Ponds: Linden Ponds, one of 19 continuing care retirement communities managed by Erickson Living®, is situated on a scenic 108-acre campus in Hingham, Massachusetts. The community is located in Plymouth County and is home to nearly 1,300 residents. Additional information about Linden Ponds can be found at LindenPonds.com.